Women often face greater obstacles when it comes to investing for retirement. On average, women work fewer years and earn less than men. This means that they have lower pension and Social Security benefits. But they also have longer life expectancies, so they need to save even more for a longer retirement. Women must also consider the fact that a couple’s retirement savings may be significantly diminished by health care costs for the spouse who dies first — which is statistically more often men than women. In order to make up for these discrepancies, women may need to invest more aggressively and begin contributing to their retirement savings as early as possible. Historically, equity investments have provided higher returns over the long term than less-risky investments like money markets and short-term bonds. However, the higher potential returns of equities should be weighed against their higher risk as well as your own goals and risk tolerance. Women should also take steps to obtain information about the retirement benefits that are available through employers and actively participate in any plans offered. An investment professional is an excellent source of information and guidance to sort through the many choices available. Most important, women need to recognize the unique challenges they face and start saving and investing as early as possible to overcome them. Men and women may not be on equal footing when it comes to investing for the future. On average, women work fewer years and earn less than men, but they also tend to live longer.1 Therefore, women must focus on the concerns that are unique to them when planning for retirement. 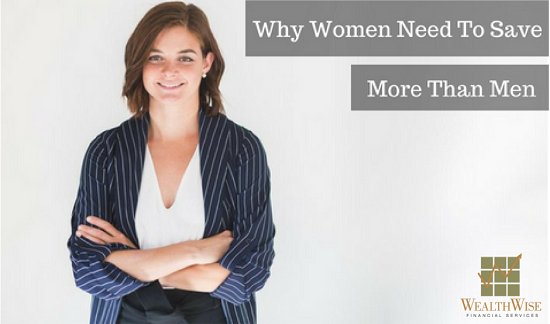 Unfortunately, some negative stereotypes still exist about a woman's ability to manage money, which may cause some women to feel they shouldn't make their own investment choices. Some leave the decision making to their husbands, which can result in their being ill-equipped to handle their finances if they outlive their spouses. 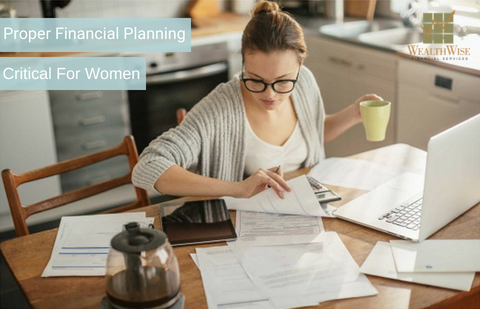 Despite the stereotypes, studies show that the majority of married women actively participate or take the leading role in managing family finances. Educating themselves about investments and long-term planning can help women feel more comfortable with riskier -- yet potentially more rewarding -- investments. As more women enter the field of financial advising and planning, female investors may also be more inclined to seek advice from other women. Women earn only about 83 cents for every dollar earned by men.2 Because they earn less, women often are unable to invest as much as men. However, in order to make up for other discrepancies in retirement benefits, women may actually need to invest more. This may mean that women qualify for lower pension benefits. Fewer years in the workforce, fewer years with a single employer, and lower pay are all factors that may contribute to a lower average pension for female retirees. At the same time, women on average live longer than men. That means they must provide for more years in retirement than their male counterparts. As a result of some of these factors, women may also receive lower Social Security benefits than men. Social Security benefits are calculated based on a person's highest 35 years of earnings. If a benefit recipient doesn't have 35 years in the workforce, the Social Security Administration will add zero-earnings years to his or her record to equal 35 years. This will lower the average monthly earnings figure and may result in lower benefits for women who have not worked for a total of 35 years. 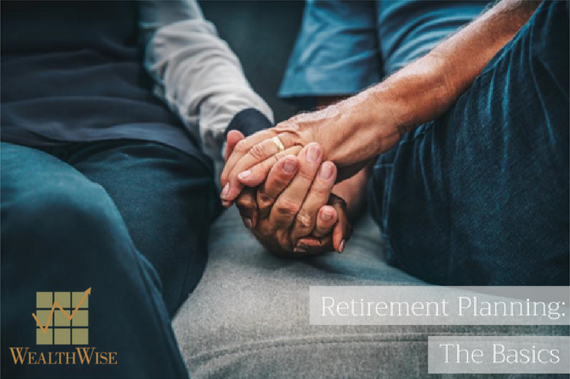 Finally, because women tend to live longer than men, not only can they expect to spend more years in retirement, but they must consider the fact that a couple's retirement savings may be diminished by health care costs for the spouse who dies first. While there is clearly a gender gap in earnings, data from the Bureau of Labor Statistics has shown improvements in women's earnings. Higher earnings for women could mean the potential for more investments. Nonetheless, the bottom line is that in order to make up for differences in earnings and benefits, and more retirement years due to longer life spans, women may have to invest more. Carefully consider how much risk you are willing to take in exchange for the potential to earn higher returns. Historically, equity investments have provided higher returns over the long term than less risky investments like money markets and short-term bonds, although past performance is no guarantee of future results. Obtain information about the retirement benefits that are available through your employer, and actively participate in any plans offered. Seek education about the investment vehicles that can help you reach your retirement goals. An investment professional is an excellent source of information and guidance to sort through the many choices available. Contact local professional/trade associations, women's groups, community colleges, and adult education centers in your area for information on investment or personal finance seminars taking place. Most important, women need to recognize the unique challenges they face and start saving and investing as early as possible to overcome them. Because of the possibility of human or mechanical error by DST Systems, Inc. or its sources, neither DST Systems, Inc. nor its sources guarantees the accuracy, adequacy, completeness or availability of any information and is not responsible for any errors or omissions or for the results obtained from the use of such information. In no event shall DST Systems, Inc. be liable for any indirect, special or consequential damages in connection with subscriber's or others' use of the content. © 2017 DST Systems, Inc. Reproduction in whole or in part prohibited, except by permission. All rights reserved. Not responsible for any errors or omissions.